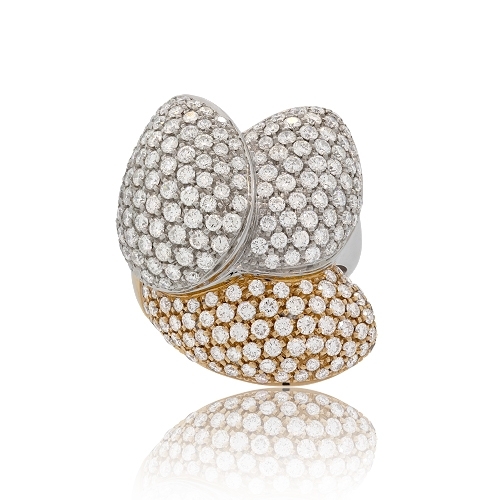 18k white and rose gold diamond triple petal ring. Diamonds approx. 3.65ct. Ring size 7.5.